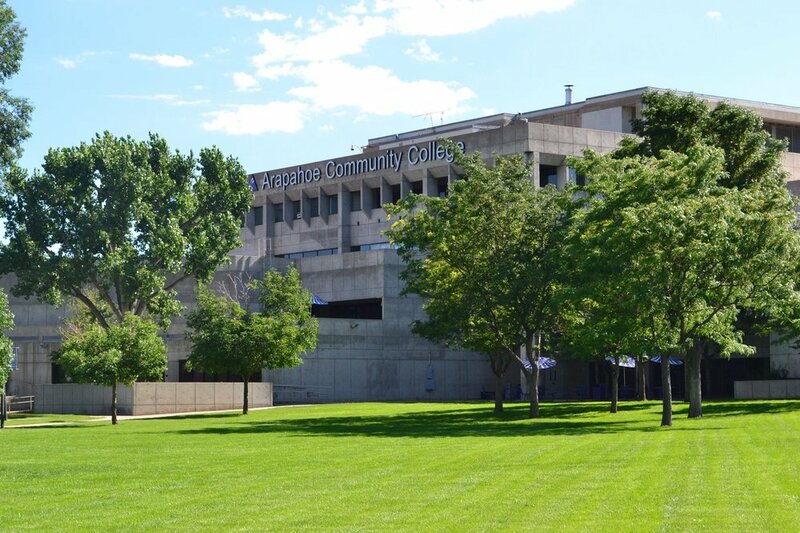 Arapahoe Community College (ACC) is one of the most frequently searched colleges in America, according to a recent internet keyword search of United States colleges. Formerly known as Arapahoe Junior College, ACC is a Colorado community college that was founded in 1965. The school currently maintains a student body of about 20,000 undergraduates each semester, in both credit and non credit courses. In terms of diversity, ACC may have the largest percentage of students (31 percent) who identify their race and/or ethnicity as "unknown" or "other." Arapahoe College primarily serves the southern Greater Denver Metropolitan Area. ACC is accredited by the Higher Learning Commission, and is a member of the North Central Association of Colleges and Schools. Here are the answers to some of the most frequently asked questions about Arapahoe Community College. 1. Where is Arapahoe Community College? 2. What types of degrees are offered at Arapahoe Community College? ACC grants Associate of Arts degrees, Associate of Science degrees, and Associate of Applied Science degrees, as well as quite a few skilled trade and technical certificates. 3. 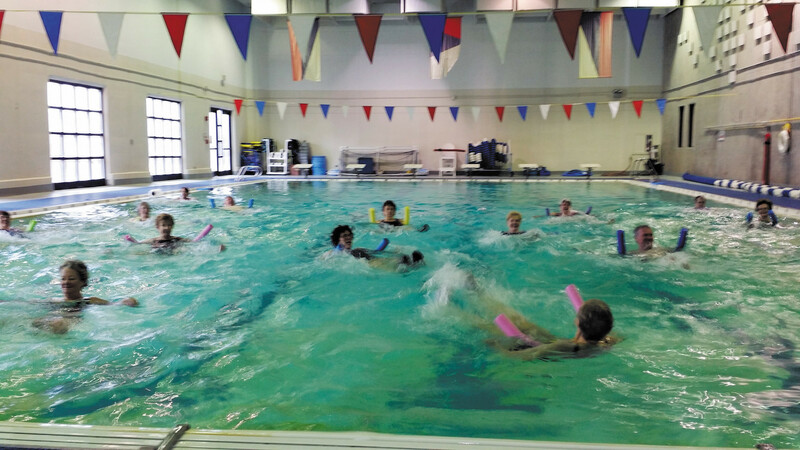 What courses and programs are offered at Arapahoe Community College? 4. Who should attend Arapahoe Community College? ACC is an appropriate choice for residents of the Greater Denver Metropolitan area who want to save money on four year college educations. ACC also features many skilled trade certificate programs for people who want to join the workforce immediately after graduation. Also, the school has a program where high school students can earn college credits toward a degree at ACC. In fact, high school students make up about 25 percent of the student body at ACC. 5. Why attend Arapahoe Community College? ACC is a cost effective alternative to entering a university as a freshman. ACC is convenient, and offers many online courses. 6. How much does it cost to enroll at Arapahoe Community College? $174.38 per credit hour for Colorado residents taking traditional and hybrid courses. $622.94 per credit hour for out of state residents taking traditional and hybrid courses. $278.65 per credit hour for Colorado residents taking online classes. $412.70 per credit hour for out of state residents taking online classes. 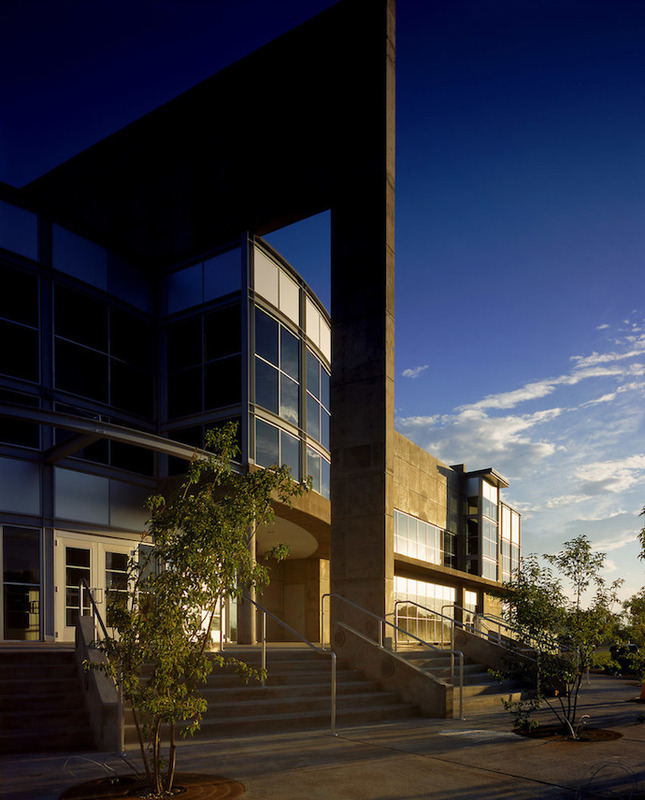 Financial aid may be available in the form of scholarships, grants, loans, and work study programs, to help students pay for their educations at Arapahoe College. 7. How long does it take to earn a degree from Arapahoe Community College? For a full time student, it might take about two years to earn an Associate's degree. Skilled trade certificates can take one year or less. However, all students at ACC are enrolled part time. This means that the time it takes to earn a degree or certificate depends on each student's schedule. 8. What is the Arapahoe Community College campus like? The main campus spans 51 acres and contains five buildings. 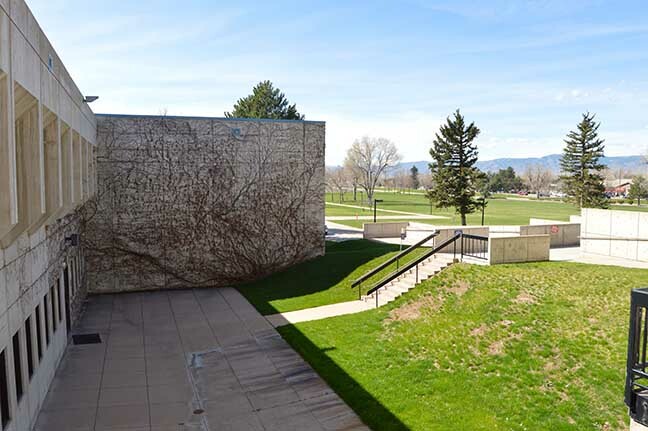 Attractions on the Littleton campus of ACC include the Arapahoe Community College Bookstore, the Colorado Gallery of the Arts, and the Affordable Arts Festival. Also on this campus are a library, a child development center, fitness facilities, an aquatic center, a career center, and a full range of student services. The athletic teams at Arapahoe are called the Coyotes. The school colors are purple and white. Other campus organizations include an award winning literary magazine. There is no on-campus housing available at ACC. Above: A view of the ACC campus. 9. What is the Arapahoe Community College neighborhood like? Surrounding the main campus are several eateries and coffee shops. Just west of the Littleton campus is the South Platte River. To the southeast is the Littleton Museum. 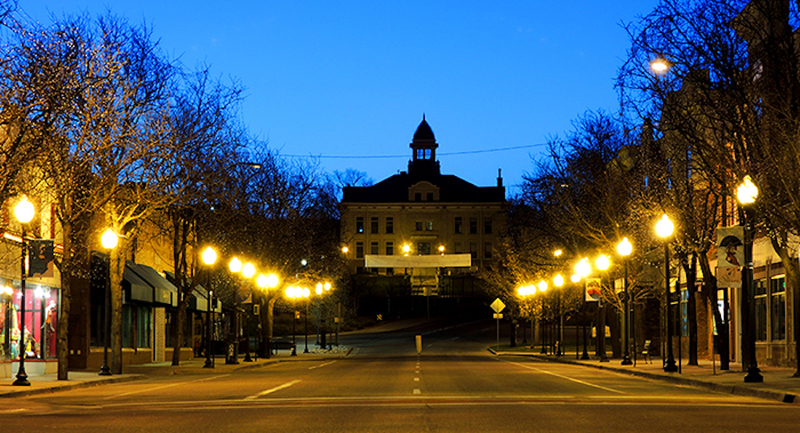 Just north of the main campus of ACC is downtown Littleton, featuring many conveniences and charming historic architecture. Roughly 10 miles north of Littleton is the major city of Denver. Castle Rock is located about 20 miles south of the main (Littleton) campus. This branch of ACC is also conveniently situated near many stores and restaurants, including a Walmart Supercenter very nearby. The Parker campus is located about 10 miles southeast of the Littleton campus, and roughly five miles northwest of downtown Parker. 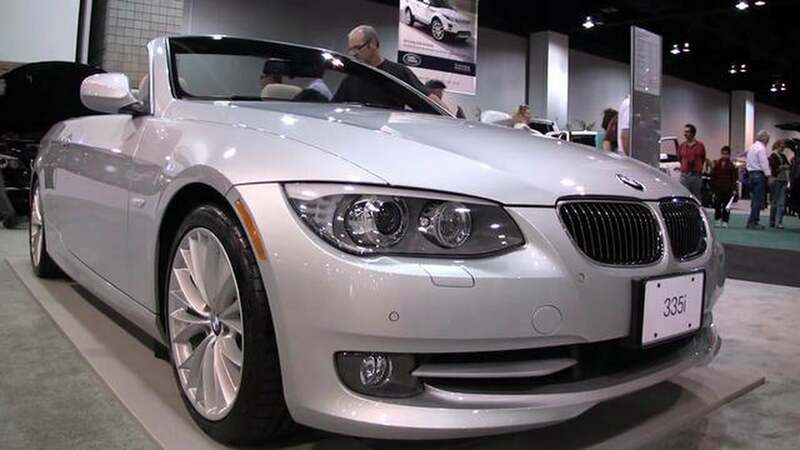 A car may be helpful for getting around here. 10. What are the distance learning options at Arapahoe Community College? ACC has more than 200 online courses available, through a Learning Management System called Desire2Learn. 11. What is the contact information for Arapahoe Community College? You can reach the Littleton campus office of ACC by calling 303-797-4222. For the Parker campus of ACC, call 303-734-4822. To reach the Castle Rock campus of ACC, call 303-660-3160. To inquire about online classes at ACC, call 303-797-5722. For workforce training at ACC, call 303-734-3701. 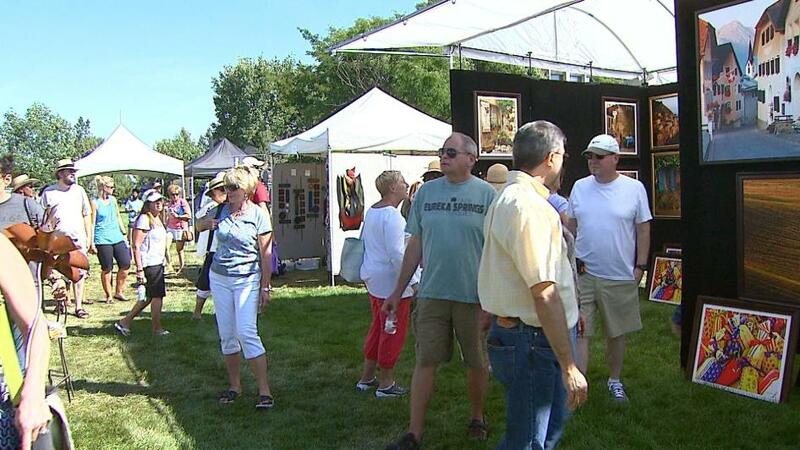 Above: The Annual Affordable Art Festival at Arapahoe College.